El Blaze hails from Mexico and uses Lucha Libre mixed with gymnastics as his fighting style. El Blaze's skills eventually caught the eye of the J6 tournament judges. They were impressed with the way he defeated wave after wave of opponents in the light-heavyweight division. As he watched Wolf dominate the heavyweight division, he burned with envy and jealousy. He knew the only way to combat these feelings was to prove that he was truly the best fighter in the world and he quickly signed up for the Fifth World Fighting Tournament. 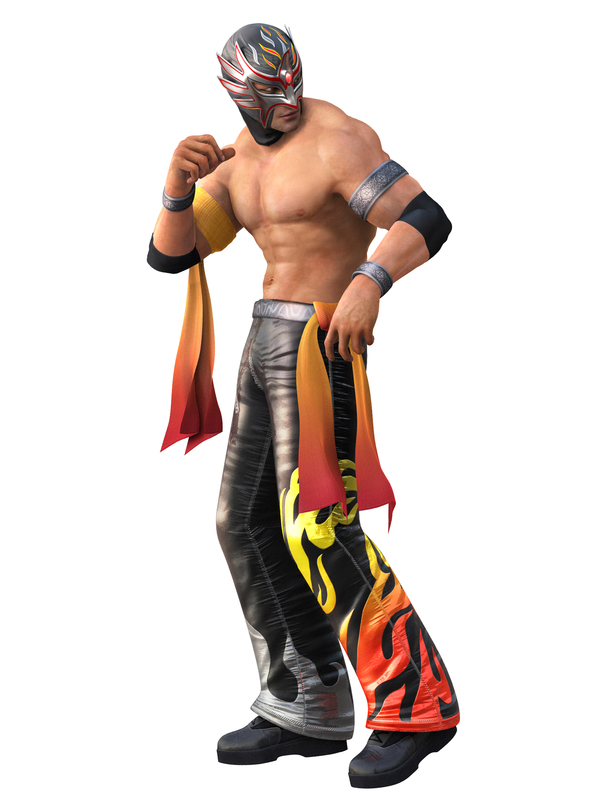 Although he's slightly generic visually, El Blaze is an awesome tribute to the iconic pro wrestler, Rey Mysterio Jr. (and masked luchadores in general). 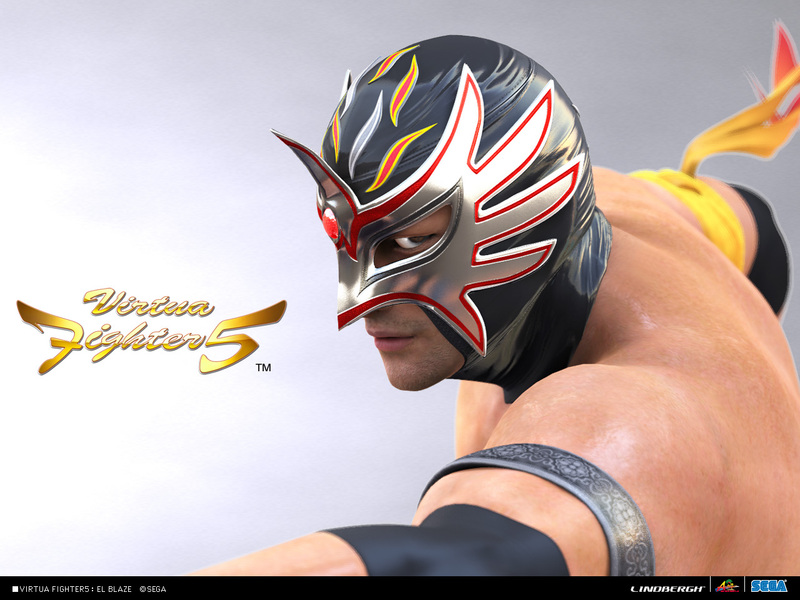 Naturally, El Blaze fits into the Virtua Fighter series very well, and he presents a very unique, flashy, and incredibly entertaining fighting style! He's also really dynamic and fun character to use. For that reason, El Blaze is easily one of my personal favorite "new age" VF characters. My only complaint is that his voice doesn't really suit him (although it's hilarious). lol. Also worth mentioning is that he has some epic alternate masks and customizations in VF5: Final Showdown.